Dreaded deadly pathogen now literally among Jackson Hole's famous elk herds as thousands of wapiti arrive in valley for winter. Chronic wasting disease, the dreaded always-fatal malady that infects members of the deer family and essentially turns their brains to mush, has been confirmed for the first time in wildlife in Grand Teton National Park. A mule deer, struck and killed by a car in Grand Teton then subjected to laboratory analysis by the state of Wyoming, tested positive for the plague that infects the central nervous system of a host and leaves it suffering from symptoms similar to humans with severe dementia, park officials have confirmed. “This is a most disturbing reality we knew was coming,” said Lloyd Dorsey, the Wyoming conservation director for the Sierra Club who along with disease experts and prominent wildlife scientists have been warning about for years. Notably, CWD as it is called, is part of a group of illnesses called bovine spongiform encephalopathy. They involve prions, misfolded proteins that often are manifested in the brain. CWD is a close cousin to Mad Cow Disease which jumped from cattle to humans in Britain and left at least 177 dead. So far there has not been a case of CWD being transmitted to humans from big game animals they eat, though the Centers for Disease Control and Prevention has issued an advisory that hunters have their game meat tested in known CWD endemic areas and never to eat animals with disease symptoms. Across the Lower 48, CWD is considered the most problematic, uncontrollable pandemic affecting wildlife in modern times and has struck wild free-ranging and captive deer herds in 25 states and three Canadian provinces. In Colorado, CWD has infected elk herds and shown its ability to have population-level effects. For years, Dorsey, Dr. Bruce Smith, former senior biologist with the National Elk Refuge, and Dr. Tom Roffe, retired national director of animal health for the U.S. Fish and Wildlife Service, have feared CWD’s arrival in the biological heart of the Greater Yellowstone Ecosystem. 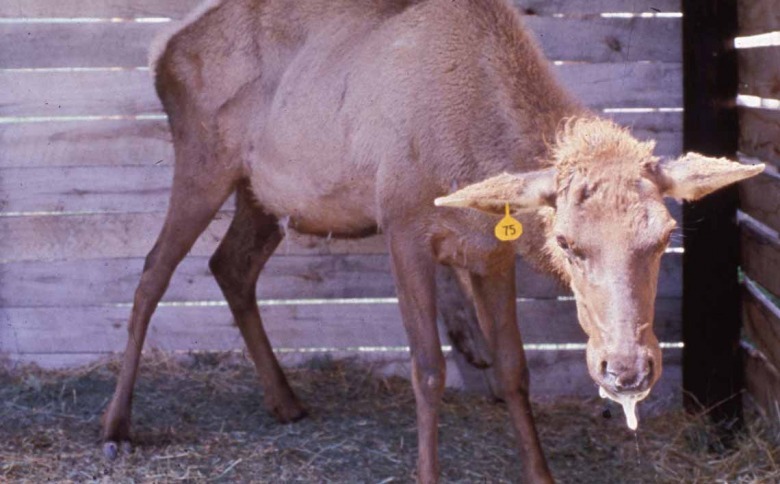 They and others have expressed grave concern about the controversial practice artificially feeding thousands of elk at 22 feedgrounds operated by the state of Wyoming and at the federal Elk Refuge. Wyoming wildlife officials and politicians have long downplayed the threat, denying it would reach wildlife in Jackson Hole and continued to feed elk in order to placate the interests of hunting outfitters and guides. This, in spite of scientific evidence, cited in lawsuits brought by two different legal firms, showing that the practice represents a serious health risk to wildlife. Studies, based on computer modeling, have shown that if CWD infects Greater Yellowstone’s world famous elk herds it has a high probability of leaving the preponderance of wapiti in the region, possessing the same genetic makeup, extinct in decades to come. At present more than 20,000 elk gather at feedgrounds in three western Wyoming counties. With this week’s confirmation of CWD in Jackson Hole, located just south of Yellowstone National Park in Teton County, Dorsey notes that it means all three counties with feedgrounds inside their borders now have CWD in its free-ranging wildlife. CWD today has been detected in 22 of Wyoming’s 23 counties and it has killed a moose as well as deer, some in Park County, Wyoming just beyond Yellowstone’s eastern boundary. Grand Teton officials said that mule deer that summer in the national park spend winters near Dubois and Cody, Wyoming. Disease specialists say CWD’s arrival in elk herds, if it hasn’t already happened, is inevitable. The CWD-positive mule deer was roaming an area near Gros Ventre Road not far from Kelly, Wyoming. 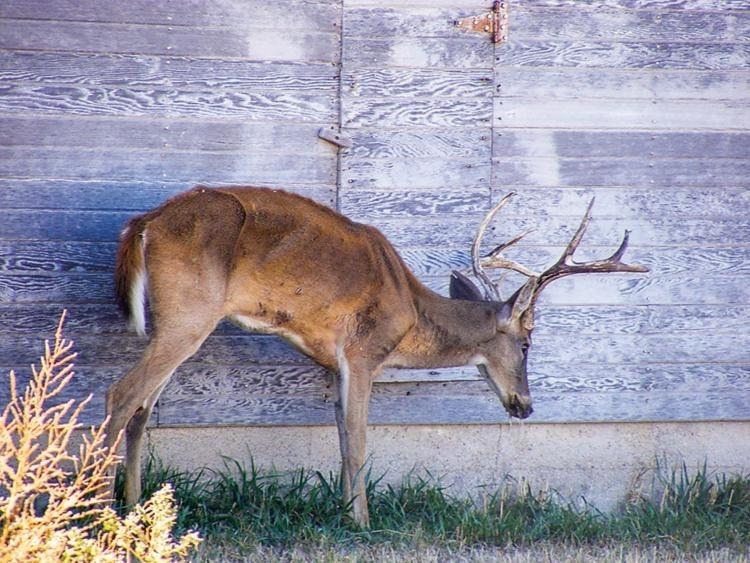 Last year, Montana to the north confirmed its first-ever cases of CWD, likely owed to infected deer moving out of Wyoming across the state line and southward from Canada. Montana wildlife officials wrote a letter to Wyoming registering its protest to the state’s widely condemned practice of feeding wildlife, but it was dismissed. Although Idaho, another Greater Yellowstone state, has yet to document a case of CWD in public wildlife there, experts say the only thing likely missing is confirmation. A map of dubious distinction. Already, disease officials with the USGS monitoring the progression of CWD across America, have added Teton County, Wyoming to geography where the disease is endemic. Teton County encompasses not only Jackson Hole, Grand Teton Park and the National Elk Refuge but southern portions of Yellowstone. Although Wyoming has increased its disease surveillance, testing nearly 4,000 samples in 2017 alone, critics say it has failed to eliminate the reservoirs where a true pandemic could take hold. Scientists say that those carnivores, by targeting sickened prey species, help to reduce the number of infected animals moving widely across the landscape. Wyoming, however, is known for its hostile attitude toward predators. With wolves, which are considered the most effective animals in targeting CWD-infected prey, they are allowed to be killed without a license, for any reason, by any means, any day of the year in over 85 percent of the state. This year, a federal court ordered the Bridger-Teton National Forest, which encompasses a huge swath of northwestern Wyoming to re-do its analysis which allowed the controversial Alkali Creek feedground near Jackson Hole to continue operation. In a separate court case more than 10 years old, managers at the National Elk Refuge promised to phase out feeding within a decade but it has not happened. During the winter of 2017-18, refuge officials decided not to feed elk in certain areas but that action was widely criticized by some. 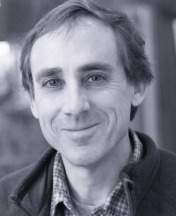 Moore, who has spoken to many scientists about the pathology, said the key point to remember is how CWD differs from other serious chronic diseases in that it reaches epidemic proportions on a slower-moving time scale. Yet its impacts, at least from what's known today, are dire and total. MoJo gives you important reads that take a lot of time to research and they are offered to you free. In turn, we rely on your generosity to help us continue. Please support us by clicking here. We appreciate your generosity.